We love reading artists details about their prints, and we don’t think we could have said it any better than Ello Lovey. “Sometimes we have our hands full, yet our hearts are even fuller! This hand-lettered illustration is for those of you who have your plates full, but are perfectly content with it. 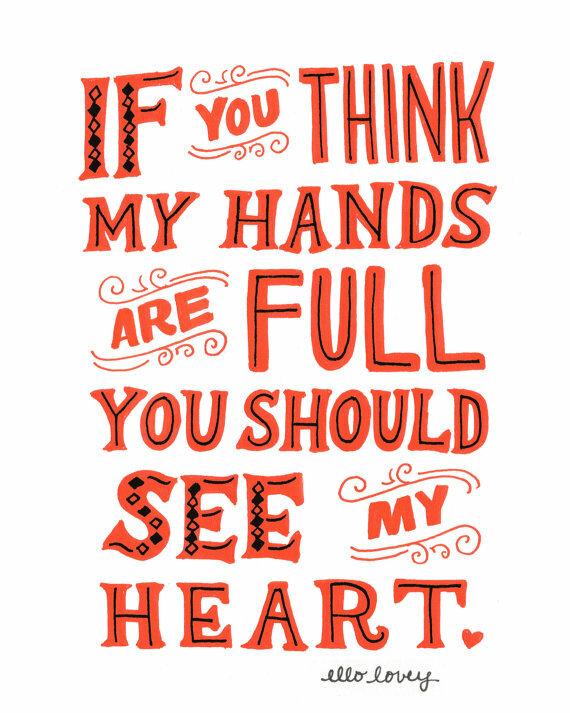 This print is perfect for moms, dads and those who give so much of themselves for others. It may be tough work, but it’s work that fills your heart.” Love that! Happy Friday, friends!